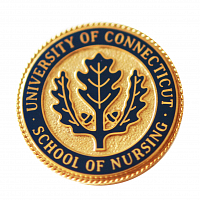 Nancy is a UConn School of Nursing double husky and has been serving as the Executive Director of Madonna Place since 1991. In 1981, Madonna Place was opened with very modest funding. The vision of Madonna Place was oriented to families in need and over the last 37 years, under the guidance of Nancy and others, it has deeply expanded in scope and depth. Nancy has devoted her life to the families in New London County and led the way to new and inclusive programming and funding for all these years. Prior to Nancy’s role with Madonna Place, she worked as a psychiatric nurse for adults and adolescents in an in-patient facility and provided early intervention services in the Birth to Three program. Nancy taught health education and parenting courses, as well as, provided home-visits to parenting teens and held roles in community health nursing. For numerous years, Nancy has been a devoted advocate and an active volunteer in her community. She has served on the United Way of Southeastern CT Board of Directors and the Backus Hospital Board of Directors. Nancy was formerly the President of the Council of United Way Agencies Executives, Vice President of the Norwich Rotary, Vice President of Lebanon Kids, Inc. and Board Chair of United Community and Family Services. In 2017, she was selected Executive Director of the Year by the Chamber of Commerce of Eastern CT. The motto of the Rotary International is “Service Above Self,” and Nancy embodies this both in her personal and professional lives. Through education, treatment and advocacy, she has made significant impacts on her community and the lives of those she has worked with.